Am I too old or too young for this or did I just miss it completely while I was in the military? I have no idea what this show is/was. It wasn't the best show at that time. It would have been more fun if the dad worked for a secret government organization and built VICI to protect the family, Terminator style! her short circuiting and killing the family would of been a great series finale. My favorite sitcom of all time. Period. hey folks, lovely blog you have. 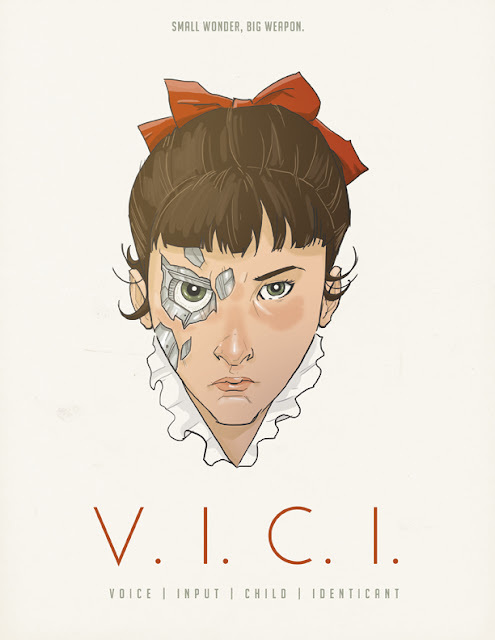 A friend of mine sent me the link when he saw the cool VICKI as a Terminator...I'd love for you all to check out my comic about her and some other nostalgic characters,you can read all the issues on my website with the 5th issue coming out soon! please let me know what you think and awesome job on all the "vacation destinations"
Brilliant!! I had completely forgot about this show! Great job on this!